Law Web: Whether burden of proof will be on defendant if he takes plea of loan transaction? 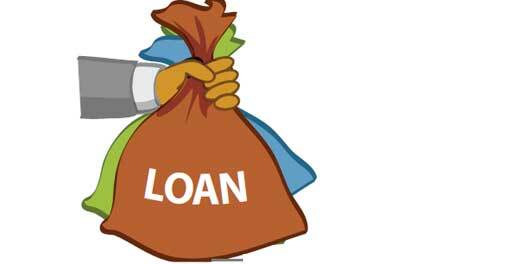 Whether burden of proof will be on defendant if he takes plea of loan transaction? Submissions of Mr. Thorat that when there is a registered document, then the sale is to be considered as a genuine, would have been accepted if the defendant would not have challenged the truth-fullness of the contents of the sale-deed and not contended that it is a sham document given as a security. The case of the defendant squarely falls under proviso Section 92 of the Indian Evidence Act, 1872. Obviously, the burden lies on the defendant to prove that the document executed was intended for something else than what is mentioned in the document. A piece of land was purchased by the respondent (defendant) along with Pramilabai Patil on 16.4.1962 jointly. Thus, defendant being a co-owner, owns one half share in the said piece of land. This one half share is the suit property. It is the case of the plaintiff that at the time of purchase of the said property, he has contributed Rs. 2,500/- i.e. 50% of the price and thus, he has one fourth share in the entire piece of land. It is the case of the plaintiff that though the sale-deed was executed in the name of the defendant alone, he had handed over the possession of the half portion of the suit land to the plaintiff and the plaintiff and the defendant are co-sharers in the suit property. Subsequently, on 25.3.1968, the appellant i.e. the plaintiff purchased one half share of the suit land from the defendant by registered sale-deed for Rs. 1,000/-. The plaintiff and the defendant both were having business transactions in leather business and as they were on good terms and the defendant used to give the share of the crop in the suit land to the plaintiff till 1974, the plaintiff did not ask for the partition. However, said relations got strained and when demanded, the defendant failed to hand over one half share of the suit property. The appellant was constrained to file a suit for partition and possession of one half share of the suit land. The trial court dismissed the suit and the judgment was confirmed by the first appeal court. 2. The trial court held that the sale-deed dated 25.03.1968 was without consideration and it was, in fact, executed as security therefore the suit was dismissed. The first appeal court upheld the judgment and order passed by the trial court hence this second appeal. 1. The substantial question of law which arises for determination in this second appeal is whether the transaction dated 25.3.1968 was an absolute sale or was merely a security for the advance paid by the appellant ? 2. The substantial question of law which arises for determination in this second appeal is whether in the absence of any evidence to show as to what was the price of the suit land at the relevant time, it could be said that the amount of Rs. 1000/- paid by the appellant was inadequate consideration and therefore the factor operating against the interest of the plaintiff ? 3. The learned Judges committed error of law in holding error of law in holding that the appellant was not in possession of the suit land although the recitals in sale-deed at exh.53A sufficiently evidenced that the opponent had given the possession of the suit land B on the very day and that revenue authorities had rightly held that the sale-deed was accepted by both the parties and that the possession was handed over on that day itself. 4. The lower courts committed an error of law in holding that the sale-deed had been executed as a security for the re-payment of the loan advanced whereas on face of the said sale-deed it is indicated that the said sale-deed dated 25.3.1968 was not by way of security for loan but was an out and out sale. 4. The learned Counsel for the appellant submitted that the claim for partition and possession is based on the title and the appellant has proved the title by production of sale-deed dated 25.03.1968. He submitted that this sale-deed was executed by the defendant in favour of the plaintiff in the presence of Registrar. The sale-deed is a registered document and is proved. He submitted that in the evidence, the defendant has admitted execution of the sale-deed. On the 3rd page of the sale-deed, the defendant has signed and has acknowledged the receipt of Rs. 1,000/- towards consideration. Hence, courts below committed an error to hold that the sale-deed was executed without any consideration. The learned Counsel relied on Section 92 of the Evidence Act, 1872. He argued that once the registered document is produced showing the sale transaction of the property, then the oral evidence is excluded. He argued that the appellant-plaintiff has examined witnesses on the point of payment of Rs. 1,000/- before the Registrar. On the point of presumption of the truthfulness of the registered document, he relied "Bellachi (Dead) by L.Rs. Vs. Pakeeran, reported in MANU/SC/0443/2009 : (2009) 12 SCC 95". He submitted that when a document is registered document then in accordance with law presumed to be true and genuine. The learned Counsel argued that the plaintiff has discharged the burden to show that he has purchased one half share of the suit land which was purchased by the defendant. It was the defendant to prove that the contents in the document which was executed and registered i.e. exhibit 53A are not meant as they are, but the purpose of the execution and the registration of the document was different. The learned Counsel submitted that this onus is not discharged by the defendant and the first appeal court, so also the trial court ought to have appreciated this issue correctly. He submitted that the defendant though was aware of the execution of the sale-deed of the suit land in 1968 and if, it was not for the sale, then he ought to have taken steps for the cancellation of the sale-deed which, he did not take till today. He further submitted that the plaintiff had contributed the amount to purchase the half share of the entire plot in the year 1962, and therefore, he paid Rs. 1,000/- more towards his share and has purchased one half share of the land purchased by Rajaram and the defendant. The learned Counsel thus, argued that the first appeal court and the trial court have committed an error in not accepting the contents of the sale-deed and discarded the said document as a sale-deed. 5. Per contra, the learned Counsel for the respondent submitted that the entire piece of land was purchased by Pramilabai and the defendant on 16.04.1962 in equal shares for amount of Rs. 10,000/-. The defendant has paid half the amount of the total consideration amount i.e. Rs. 5,000/-. He submitted that no documentary proof of the payment of Rs. 2,500/- is produced by the appellant in support of his pleadings that he contributed Rs. 2,500/- towards the purchase of half the share of the land in 1962. He submitted that the amount of Rs. 1,000/- was not paid on the date and time of the execution of sale-deed, i.e. exhibit 53A, the plaintiff was not present at the office of the Registrar. This shows that the intention of the sale or intention of purchase of one half portion of the suit land was not present at the time of the said document. He read over the evidence of the plaintiff and the defendant and pointed out that in the evidence of the defendant-Rajaram, he has deposed that the price of the suit land in the year 1962 was less and however, the price of the land in the year 1976 was ten times from that of 1968. He pointed out from his evidence that Rajaram has taken loan of Rs. 1,000/- from the plaintiff and towards the security, to that loan amount, he had executed the sale-deed in favour of the plaintiff in the office of the Registrar. He also read over the evidence of Rajaram on the point that he spent money for the development of the suit land by constructing water pond and other necessary digging work. he submitted that the plaintiff and the defendant were not having any connection in the business. However, he has repaid the loan amount by depositing the same in the bank account of the plaintiff time to time and thus it shows that he repaid the amount which is shown as the amount of consideration. The learned Counsel thus, stated that the judgment and order passed by the first appeal court and the trial court is to be maintained. 6. All the four questions of law revolve around the core issue whether the sale-deed dated 25.3.1968 is a true document or it was sham and not intended to sell the property, but it was the security of payment of Rs. 1,000/- ? The plaintiff has produced the sale-deed which is marked as 53A. It is a registered document and execution is not challenged. The execution of the sale-deed dated 23.03.1968 before the office of the Registrar dated 25.3.1968. These basic facts are admitted by both the parties. Thus, the plaintiff has discharged his initial burden on the point of proof of sale-deed and the payment of Rs. 1,000/-. As the plaintiff has discharged his initial burden of proof of execution of the registered sale-deed, the onus shifted on the defendant who claimed that the document of sale-deed is not to be read as a sale-deed in true sense but it is a sham document and it was intended to give guarantee against the payment of loan of Rs. 1,000/-. 7. Submissions of Mr. Thorat that when there is a registered document, then the sale is to be considered as a genuine, would have been accepted if the defendant would not have challenged the truth-fullness of the contents of the sale-deed and not contended that it is a sham document given as a security. The case of the defendant squarely falls under proviso Section 92 of the Indian Evidence Act, 1872. Obviously, the burden lies on the defendant to prove that the document executed was intended for something else than what is mentioned in the document. Thus, the case of the defendant falls under proviso of Section 92 of the Indian Evidence Act, 1872. While considering this issue, it is necessary to see whether the trial court and the first appeal court have assessed properly the evidence of defendant on this point or not? The learned Counsel for the respondent has drawn my attention to the relevant portions of the evidence of the defendant. The defendant has specifically denied that he did not receive any amount of Rs. 1,000/- on the date of the sale-deed but was earlier paid towards loan. The courts below have considered the evidence of Ashok and Savitribai, which, on this point, is contradictory. Plaintiff's nephew Ashok stated that he paid Rs. 1,000/- however, there is a evidence by the witness of the plaintiff that one lady Savitribai has paid Rs. 1,000/-. This supports the case of the defendant that on the date of the execution though he has stated that he has received an amount, in fact, the amount was not paid to him on that date. However, he has admitted that the plaintiff has lent the amount of Rs. 1,000/- to him and therefore, he has acknowledged the same while executing the said document. The said document was towards the security. It is further pointed out that the defendant has deposed that he has repaid the said amount time to time by depositing the said amount in the bank account of the plaintiff. Thus, he had explained the transaction of the sale-deed. The trial court and the first appeal court have rightly considered the value of the suit land compared to the value of the entire piece of land which was purchased in the year 1962. the entire piece of land was purchased by Pramilabai and the plaintiff for Rs. 10,000/- jointly, and the defendant has contributed 50% of the amount i.e. Rs. 5,000/- in the year 1962. It is the case of the plaintiff that he paid Rs. 2,500/- towards the 50% price of the land but he could not prove this fact of payment by reliable evidence. The evidence of the plaintiff on the point of payment of Rs. 2,500/- is rightly discarded by both the courts. The reasonings given by the trial court that if at all, the plaintiff contributed 50% of the purchase amount and the sale-deed was in the name of the defendant in the year 1962, then there was no need to again repurchase the portion of the said land by paying more Rs. 1,000/-. 8. In the year 1962, price of the land was Rs. 5,000/- and half the portion was of Rs. 2,500/-, so, after five years, the price of the lands was more and thus, the case of the plaintiff that he purchased one half portion of the land i.e. the suit land by giving more Rs. 1,000/- also, cannot be accepted in the absence of any such specific mention of the previous payment in the sale-deed of 1968. Thus, the pleadings or the stand taken by the plaintiff in respect of payment of Rs. 2,500/- towards suit land and the contents in the sale-deed i.e. exhibit 53A are inconsistent and therefore, the contention of the defendant that the sale-deed was hollow and not genuine, but it was only towards the security, is plausible. Thus, the defendant has discharged his burden under the proviso 1 of the Section 92 of the Indian Evidence Act. Therefore the first appeal court and the trial court have rightly accepted the case of the defendant and disbelieved the case of the plaintiff as of the purchase of the suit land by execution of sale-deed dated 25.3.1968. Thus, the substantial questions of law are decided against the appellant i.e. plaintiff. Hence, no interference is required in the judgment and order passed by the first appeal court and the trial court. The appeal is dismissed. Parties to bare the costs. In view of the dismissal of the second appeal, civil application, if any stands disposed of accordingly.